A look at why Waste Management is one of the companies that has remained consistently profitable because of the non-discretionary nature of waste collection and disposal. 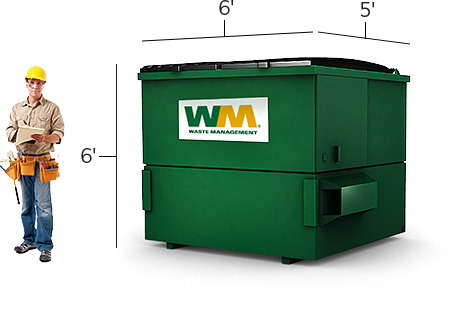 While waste management seems to be a boring business, it is surprisingly a good industry with stable demand favoring large incumbents, like the aptly named Waste Management (NYSE:WM), the largest waste services provider in the country. However, not every aspect of the waste management business is equally attractive. For an integrated waste company such as Waste Management, which operates different businesses with varying risk profiles, it's necessary to analyze its different businesses separately. Also, how does Waste Management compare with peers such as Republic Services (NYSE:RSG)? 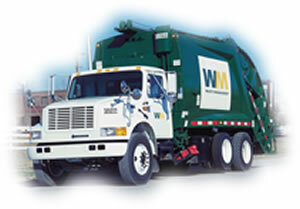 Waste Management's waste collection and landfill operations make for a good business for two key reasons. First, Waste Management's waste collection and landfill operations are protected by high barriers to entry. The difficulty of obtaining approvals for new landfills and the low value-to-weight ratio of waste reduce the competitive threat from new entrants and foreign companies. Second, Waste Management enjoys an annuity-like revenue stream from its waste collection and landfill business. More than 80% of its commercial and industrial customers are on contracts with terms exceeding three years, with the average customer tenure (commercial and industrial) being 10 years. Municipal customers stay even longer as Waste Management's customers, 12 years on average. Size is a key advantage for the waste collection and landfill business because of the high fixed costs associated with it. Waste Management's largest network of collection routes (and resulting high route density) ensures that it can collect and dispose of more waste than its smaller competitors for every trip and route. This gives Waste Management huge operating leverage. With revenues approximately 1.6 times that of its next largest competitor, Republic Services, Waste Management has consistently delivered ROICs in the 9%-10% range for the past three years, compared with 7%-8% ROICs for Republic Services. As a testament to the importance of scale in the waste collection and landfill business, Republic Services has had a track record of growing via acquisitions. For the past four years, it has been steadily increasing its investment in acquisitions. Republic Services spent $29 million and $52 million on acquisitions in 2010 and 2011, respectively. In 2012 and 2013, its investment in new acquisitions increased further to $100 million and $82 million in 2012 and 2013, respectively. It was estimated that Republic Services added annual revenue of $60 million and EBITDA of $19 million via 2013 acquisitions. Going forward, Republic Services claims that its M&A pipeline is sufficient to support approximately $100 million worth of M&A investments annually. More importantly, Republic Services has focused its attention on completing "tuck-in" acquisitions in existing markets, and not expanding its presence nationwide blindly. By grabbing a large market share of its existing markets via M&A, Republic Services can derive greater economies of scale by spreading fixed costs over a larger revenue base. In contrast with the "good" waste collection and landfill business, Waste Management's recycling and waste-to-energy businesses are far less attractive. Unlike the steady demand for waste collection and disposal services, the fortunes of recycling and waste-to-energy businesses tend to fluctuate with commodity prices. For the past two years, Waste Management's recycling operations were negatively affected by low commodity prices of of old newsprint and old corrugated cardboard, and also higher operating expenses to comply with China's tightening regulatory requirements. Similarly, Waste Management's waste-to-energy business, which processed 7.5 million tons of municipal solid waste into 5.2 billion kilowatt-hours of electricity in 2013, is highly dependent on energy prices. Waste Management isn't optimistic about the outlook for its recycling and waste-to-energy businesses either. It guided for flat revenue growth with respect to its recycling business, as operational improvements are expected to be offset by modest recycling commodity sales price declines. It took a $483 million impairment charge for its waste-to-energy segment in 2013, and sold its China waste-to-energy joint venture in 2014. Waste Management generated 10.3% and 6% of its 2013 revenues from its recycling and waste-to-energy segments, respectively. In comparison, Republic Services' sales contribution from recycling is smaller, at around 9%. However, Republic Services has been growing its recycling operations, having invested about $30 million in developing and upgrading its recycling centers last year. It's also a believer in the market potential of recycling and estimates that about a quarter of municipal solid waste is recycled. However, it's reassuring to know that Waste Management sets minimum internal rates of returns (IRRs) for its various business segments: 12% for collection and landfill, 15% for recycling, and 11% for waste-to-energy. This helps Waste Management avoid investing in projects with sub-par returns for the sake of growth alone. Similarly, Republic Services also claimed it will only capitalize on opportunities to expand its recycling business, if they "provide an appropriate return on their investment." Waste Management reported a good first quarter in April this year, having grown its earnings by 35% and expanding its operating margins by 170 basis points. Going forward, its prospects should look equally bright, if it focuses on its "good" core waste collection and landfill business and treads carefully with its recycling and waste-to-energy businesses.